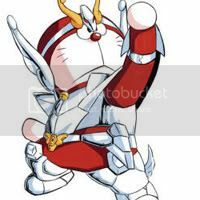 The main character of the series. 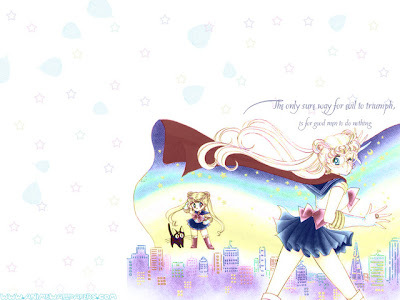 Usagi is a carefree young girl with an enormous capacity for love, compassion and understanding. 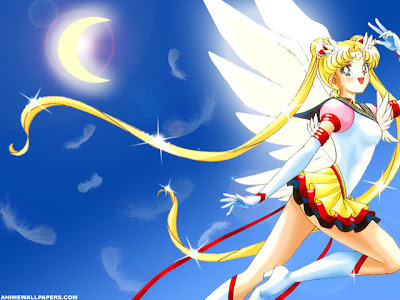 Usagi transforms into the heroine called Sailor Moon, Soldier of Love and Justice. 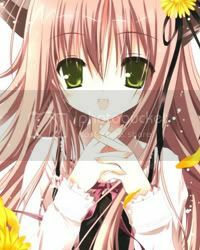 At the beginning of the series, she is fourteen years old and portrayed as an immature crybaby who hates having to fight evil and wants nothing more than to be a normal girl. As she progresses, however, she embraces the chance to use her power to protect those she cares about. Sailor Moon wields the all powerful Silver Crystal - a family heirloom from Moon Kingdom. 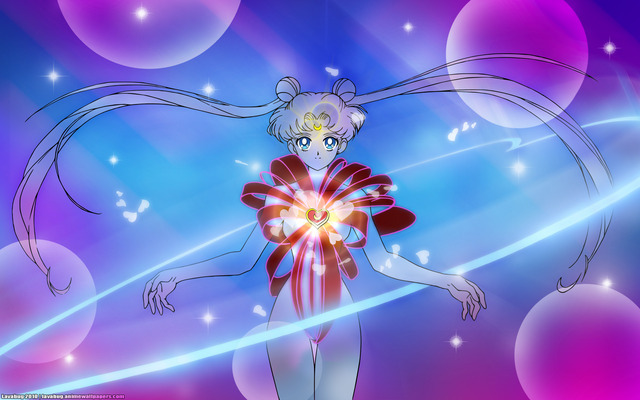 Linking her life force with it can maximize it to its full potential, rarely used in this fashion because the end result could possibly mean Sailor Moon's own death. An elegant, fourteen-year-old miko (shrine maiden). 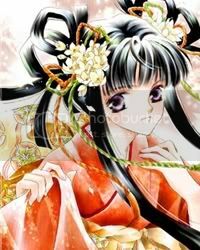 Because of her work as a Shinto priestess, Rei has limited precognition and can dispel/nullify evil using special Shinto scrolls, even in her civilian form. She transforms into Sailor Mars, Soldier of Fire and Passion. She is very serious and focused, but although easily annoyed by Usagi's flightiness and being totally clueless, but cares about her very much. 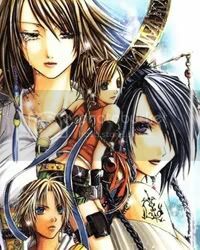 Rei is portrayed as boy-crazy in the early anime and short-tempered throughout, but is uninterested in romance and self-controlled in both the manga and live-action series. She attends a private, Catholic school separate from the other girls. 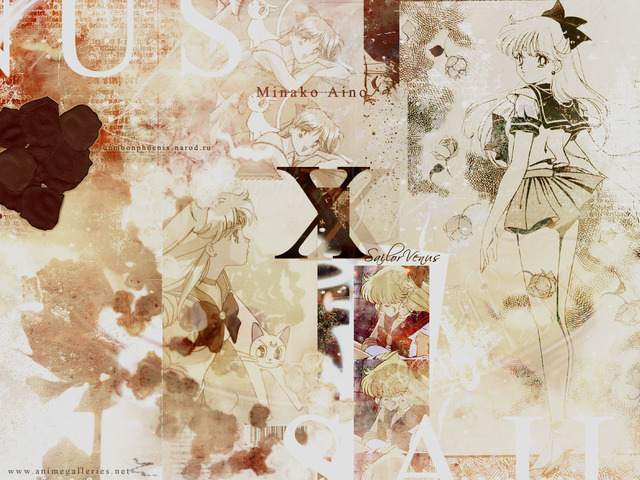 A fourteen-year-old tomboy who transfers into Usagi's school. Very tall and very strong for a Japanese schoolgirl, she transforms into Sailor Jupiter, Soldier of Strength and Lightning and with some control over plants. Both Makoto's parents died in a plane crash years ago, so she lives alone and takes care of herself. 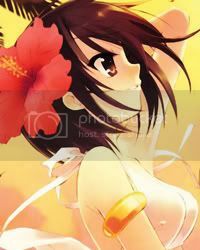 She cultivates her physical strength as well as more domestic interests, including housekeeping, cooking, and gardening. She wants to marry young and to own a flower-and-cake shop. 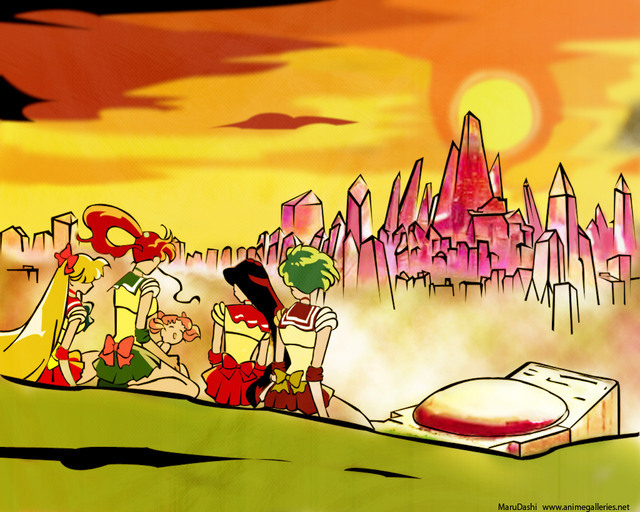 A fourteen-year-old perky dreamer who acted on her own as Sailor V for some time. 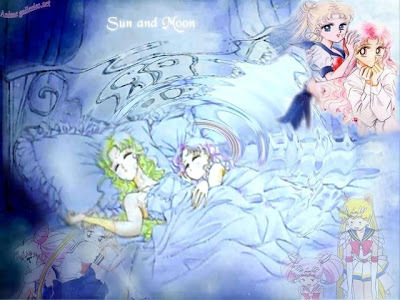 Called by her nickname Mina in the English versions, she has a companion cat called Artemis who works alongside Luna in guiding the Sailor Senshi. Minako transforms into Sailor Venus, Soldier of Love and Beauty, and leads Sailor Moon's four inner guardians. 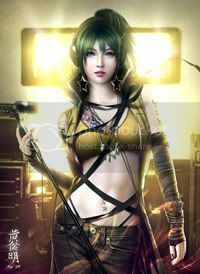 She also dreams of becoming a famous singer and idol; she attends auditions whenever she can. In contrast, in the live-action series, she is a successful J-Pop singer (of whom Usagi and Ami are fans) and has a poor health condition, choosing to separate herself from the other Senshi as a result. 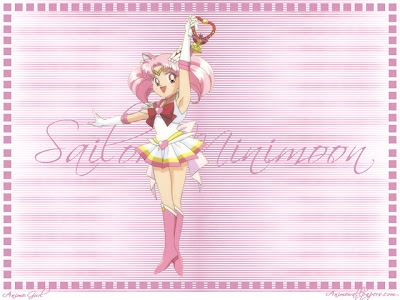 The future daughter of Usagi and Mamoru, around 1000 years old but in a body of a child about six to nine years old, Chibiusa travels from the 30th century to seek help to save her parents, then later to train with Sailor Moon to become a soldier. She learns to transform into Sailor Chibi Moon. At times she has an adversarial relationship with her mother in the 20th century, as she considers herself more mature than Usagi, but as the series progresses they develop a deep bond. Chibiusa wants to grow up to become a lady like her mother. A student somewhat older than Usagi. 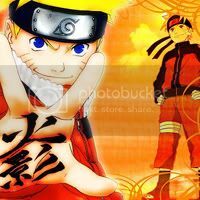 As a young child he experienced a terrible car-accident that robbed him of his parents and of his knowledge of his own identity. During the series it is revealed he has a special psychic rapport with Usagi and can sense when she is in danger, which inspires him to take on the guise of Tuxedo Mask and fight alongside the Sailor Senshi when needed. 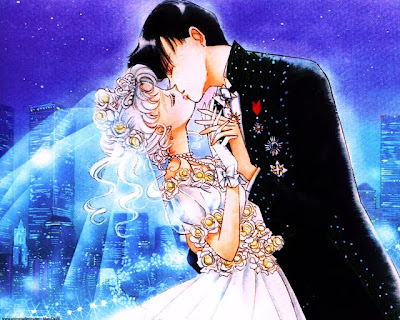 After an initially confrontational relationship, he and Usagi remember their past lives together and fall in love again. 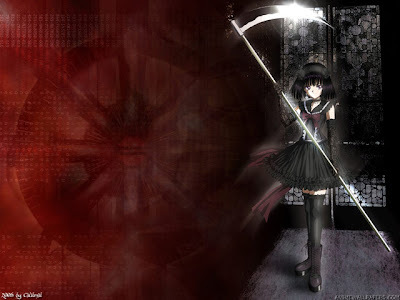 A mysterious woman who appears first as Sailor Pluto, the Soldier of Time and Space, who has the duty of guarding the time corridor from unauthorized travelers. Only later does she appear on Earth, living as a college student. She has a distant personality and can be very stern, but can also be quite friendly and helps the younger Sailor Senshi when she can. After so long at the Gate of Time she carries a deep sense of loneliness, although she is close friends with Chibiusa. 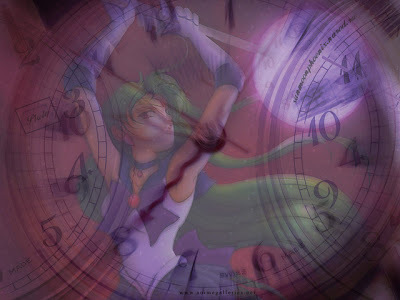 Sailor Pluto's weapon of choice is her Garnet Rod, which aids her with her power to freeze time and attacks. An elegant and talented violinist and painter with family money. 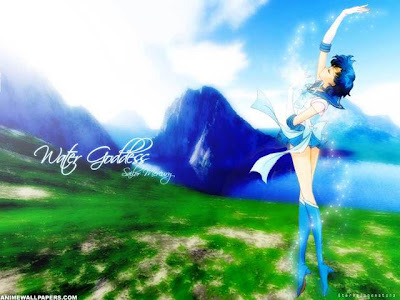 A year older than most of the other Sailor Senshi, she can transform into Sailor Neptune, Soldier of Ocean and Intuition. She worked alone for some time before finding her partner, Sailor Uranus, with whom she fell in love. Neptune has ultimately given up her own dreams for the life of a Senshi. She is fully devoted to this duty and willing to make any sacrifice for it. 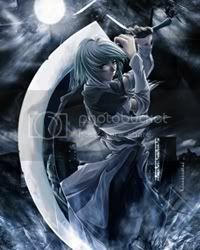 Sailor Neptune's weapon of choice is her Deep Aqua Mirror, which aids her with her intuition and revealing cloaked evil. A good-natured, masculine-acting girl. 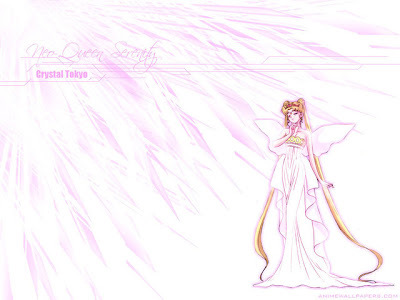 Haruka, of an age with her partner, Michiru, transforms into Sailor Uranus, Soldier of the Sky and Fury. Before becoming a Sailor Senshi, she dreamt of being a racer, and she has excellent driving skills. She tends to dress and, in the anime, speak like a man. 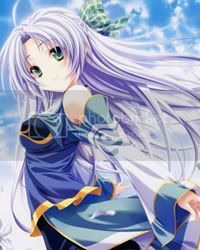 When it comes to fighting the enemy she distrusts outside help and prefers to work solely with Sailor Neptune and, later, Pluto and Saturn. 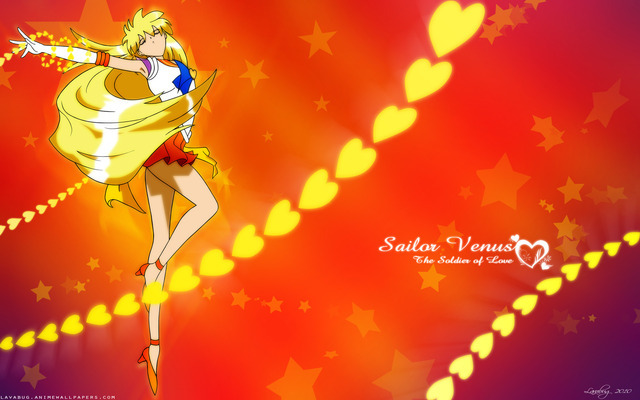 Sailor Uranus's weapon of choice is known as the Space Sword, which aids her with her fighting and attacks. 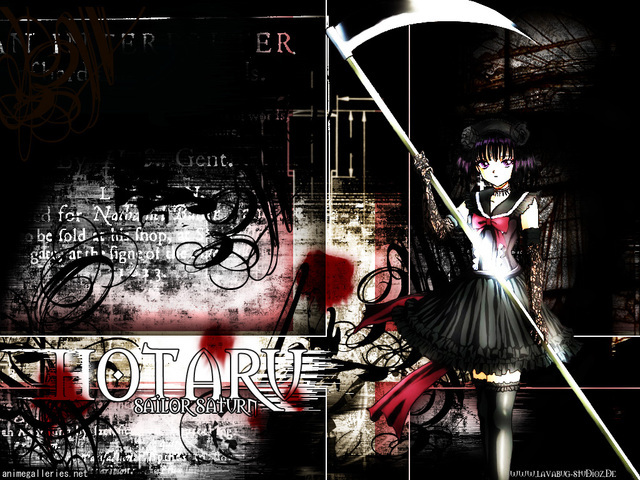 A sweet, lonely young girl whose name remains unchanged in the English versions, though pronounced slightly different. Daughter of a mad scientist, a terrible laboratory accident in her youth significantly compromised her health in the anime and destroyed a large portion of her body (Which was later rebuilt with electronic components by her father) in the manga. 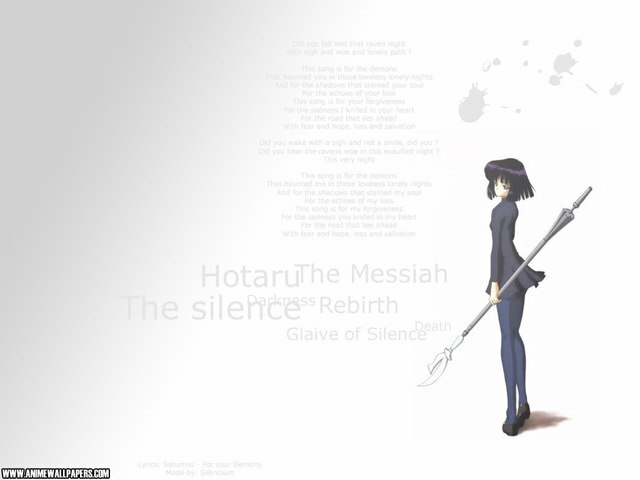 After overcoming the darkness that has surrounded her family, Hotaru is able to become the Soldier of Death and Rebirth, Sailor Saturn. She is often pensive, and as a human has the inexplicable power to heal others. She is the only one of the main characters to go with her name unchanged between the original Japanese and English-language localized versions. Sailor Saturn's weapon of choice is her Silence Glaive, which aids her with her power to generate barriers and the power to destroy a planet.